Giclée: a process for reproduction of original paintings. A few select Joel Ellis paintings, employing a professional printer, begin with a top performing digital capture of the work. Using the highest quality exacting pigments available for reproduction, a computer master transfers the painting to canvas or paper. Limited edition Giclée works by Joel Ellis receive a second original signature on the work and a Certificate of Authenticity. Giclée works can be produced in proportional sizes on stretched frames ready for the decorative frame choice of the buyer. 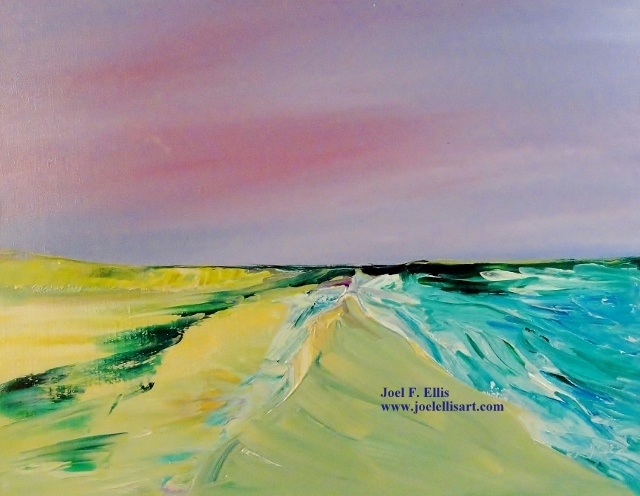 Buyers can purchase limited edition Giclée paintings for substantially less than the price of the original work. Please allow two weeks from the time of order to process. 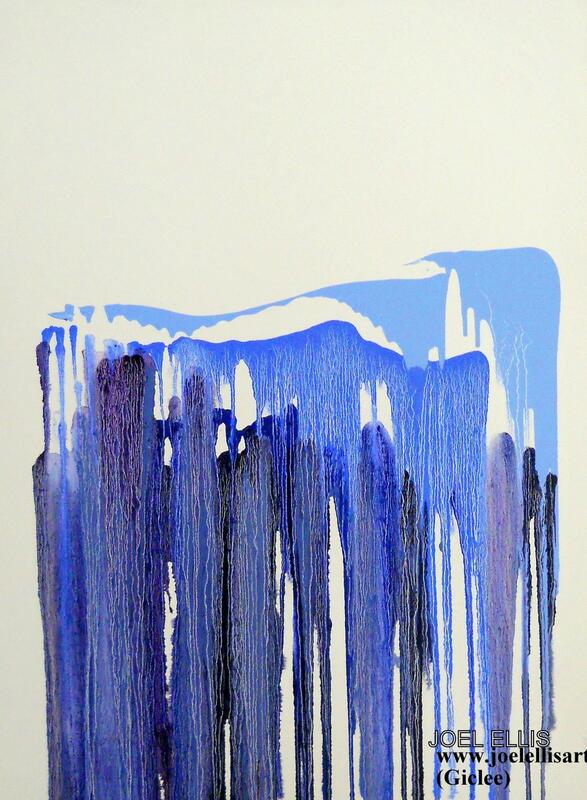 Blue Niagara, 40x30, an award winning painting in the 50th Greater Michigan Artists Exhibit and entry into the 2012 Art Prize in Grand Rapids Michigan. The original at $1200 sold, the limited edition Giclee is $600. Bold Beach, 16x20, was selected by the Arts Council of Greater Lansing and Adams Outdoor Advertising to promote the arts in Mid-Michigan. The billboard is shown at various sites in a 100-mile radius of Lansing. The original painting is priced at $750, the Giclee is available for $400. 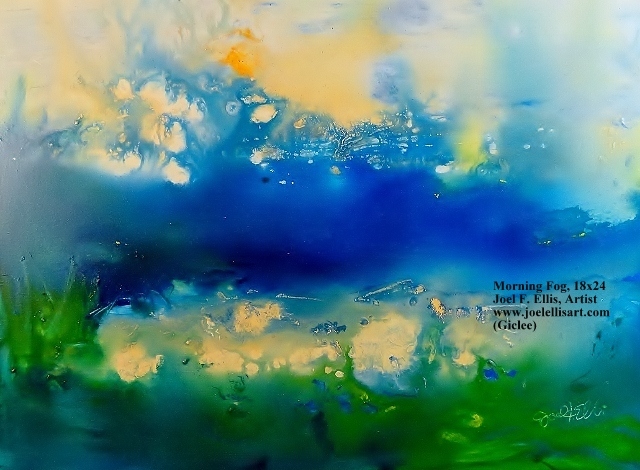 Morning Fog, 18x24, is a mystical float of colors. The original at $800 sold, the Giclee is available for $400.